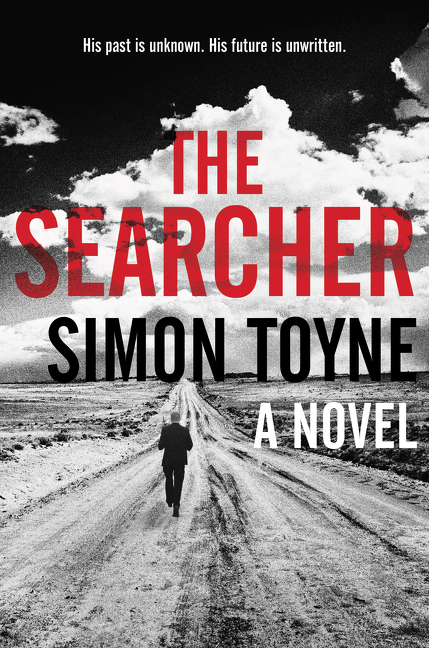 In Toyne’s The Searcher, mysterious stranger walks toward town. He has no memory of anything but the road. Wearing a bespoke suit, he is barefooted as he walks then runs away from the smoldering wreckage of a private airplane. The albino stranger is searching for James Coronado, but he doesn’t know why or even who Coronado is. For some reason he believes that he is coming to Redemption, Arizona to save Coronado’s life. The stranger’s name is Solomon Creed, a name the sheriff discovers sewn in gold thread in the pocket of his suit and inscribed on a small book: Riches and Redemption the Making of A Town, a memoir by the Reverend Jack “King” Cassidy, founder and first citizen of Redemption. The inscription is to Solomon from Coronado. The intersection of Creed, Coronado, and Cassidy’s stories energizes the action of this remarkable novel, Toyne’s first since the acclaimed Sanctus trilogy. That series centered on overt Christian symbolism. The symbolism in The Searcher, which also underlies this tale of murder, drugs, and deceit, is less obvious. It is not a novel in the Christian genre; it sits squarely in the action category. More than one person is dead under questionable circumstances, and a drug lord is seeking revenge for the death of his son. Murders must be solved, criminal activity revealed and resolved. Just who is dead and why and who will become dead provide unexpected twists that add drama and richness. Names are crucial. Solomon Creed is a wise man who believes in doing the right thing. Names with the initials “JC” have often been allusions to Jesus Christ, and Toyne provides a double-sided allusion here. James Coronado tries to do the right thing while the Reverend Jack Cassidy can be viewed as the anti-Christ. Solomon must fight against the forces of darkness to uncover the truth behind the plane crash and discover who perished in it. 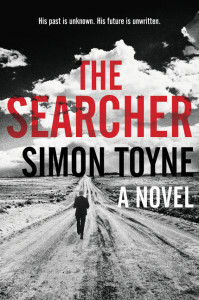 The first novel in Toyne’s new trilogy, The Searcher promises a series that is powerfully written, an unsettling entry to the adventures of Solomon Creed whose future is as uncertain as his past. He brings both retribution and redemption in equal and deserving portions. He is a character to be reckoned with, one the reader will want to hear more about.